A ‘Frasier’ reboot would cure nostalgia’s ever-present pull whilst leading viewers into the future. Nostalgia continues its successful run of being the vision of the future, specifically drawing from the totally awesome ’80s. 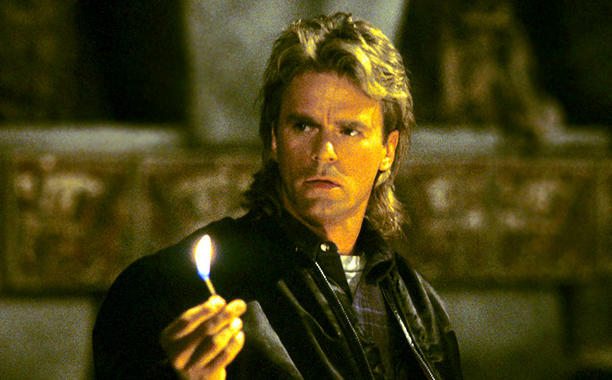 Anderson’s Macgyver was the ultimate problem-solver involving things we take for granted, like an ordinary #2 pencil, a gum wrapper and a sponge. Not to mention his trademark haircut that (just a guess) may remain in the hair stylist’s portfolio from the original series. Will this reboot live up to its high expectations, honoring the spirit and creativity of the original? As successful shows, reboots, continuations and movie sequels have demonstrated in the past, there are countless alleyways and dead ends to drive into. Still, there is a right way to do these types of projects well, so as to escape the critics who are anxious to pin their targets in an uncomfortable corner. with a belt, some Twizzlers and a single shoe lace. The initial “throw” was great, now time will tell if its return “back” to the cinema will meet expectations. With its already existent universe (technically, its land and world), Disney is set to be one of the biggest winners of the year with the upcoming release of Star Wars: The Force Awakens this December. And remaining in the spirit of popular franchises and movies being rebooted, Disney just revealed the latest surprise in their magical portfolio at the D23 Expo 2015. Will this adaption match the original from 1977? Realistically, no. But the hope is that it will be a fun and worthy second chapter in the movie’s warm, captivating story. It’s fair to presume that if this asset gets out of containment, it will bring only imaginative happiness to the characters and audience alike.